Definition at line 2756 of file CCopasiXMLParser.h. Definition at line 2763 of file CCopasiXMLParser.h. Definition at line 9509 of file CCopasiXMLParser.cpp. 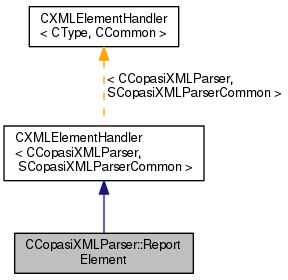 Definition at line 9520 of file CCopasiXMLParser.cpp. 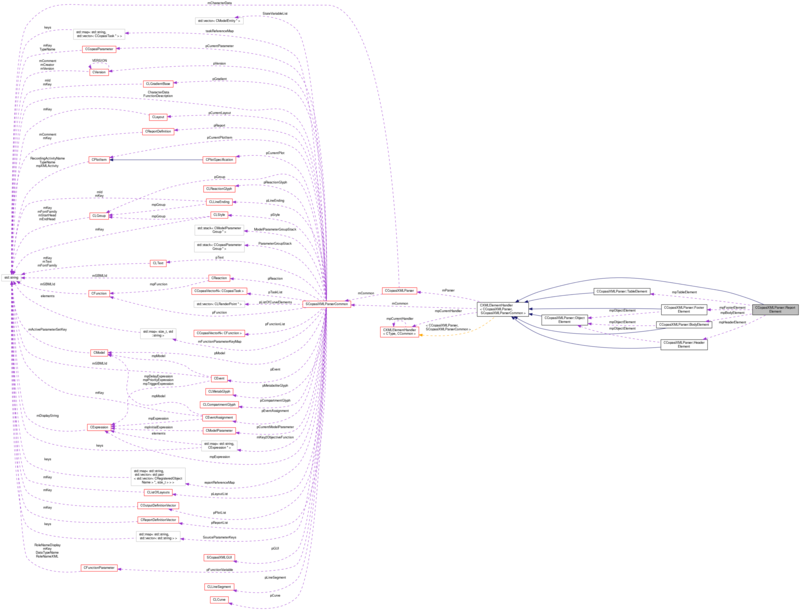 Definition at line 9690 of file CCopasiXMLParser.cpp. References SCopasiXMLParserCommon::CharacterData, CCopasiMessage::EXCEPTION, CCopasiXMLParser::mCommon, MCXML, CExpatTemplate< CExpat >::mParser, SCopasiXMLParserCommon::pReport, CReportDefinition::setComment(), START_ELEMENT, and UNKNOWN_ELEMENT. 9709 // Tell the parent element we are done. Definition at line 9528 of file CCopasiXMLParser.cpp. References CCopasiVectorN< CType >::add(), C_INVALID_INDEX, CCopasiMessage::EXCEPTION, fatalError, CCopasiVectorN< CType >::getIndex(), CCopasiXMLParser::mCommon, MCXML, CExpatTemplate< CExpat >::mParser, SCopasiXMLParserCommon::pReport, SCopasiXMLParserCommon::pReportList, CReportDefinition::setIsTable(), CCopasiObject::setObjectName(), CReportDefinition::setPrecision(), CReportDefinition::setSeparator(), CReportDefinition::setTaskType(), strToUnsignedInt(), toEnum(), UNKNOWN_ELEMENT, CCopasiTask::unset, and CCopasiTask::XMLType. 9548 // We have not found anything yet. 9567 // We need to make sure that the name is unique. Definition at line 2774 of file CCopasiXMLParser.h. Definition at line 2775 of file CCopasiXMLParser.h. Definition at line 2773 of file CCopasiXMLParser.h. Definition at line 2776 of file CCopasiXMLParser.h. Definition at line 2779 of file CCopasiXMLParser.h. Definition at line 2778 of file CCopasiXMLParser.h.